Team composite postcard of the 1907 Hutchinson Salt Packers, including future Boston Red Sox star pitcher "Smoky Joe" Wood. Encapsulated and graded VG+ 3.5 by SGC. The attractive design features a central game-in-progress photo surrounded by portrait images of fourteen team members, all of whom are identified in print below their images. 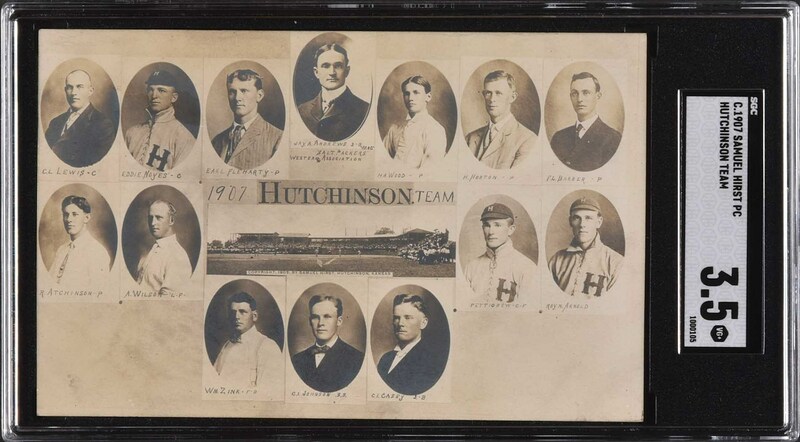 The central caption reads "1907 Hutchinson Team," while the smaller caption below the manager's portrait notes both the team name and league affiliation: "Salt Packers/Western Association." The photographer's credit, "Copyright 1907 by Samuel Hirst, Hutchinson, Kansas," is printed in the center. 1907 marked Wood's first season in organized ball, making this the earliest known image of him as a professional ballplayer. Wood began the season as an infielder, but a dearth of pitching talent forced him to the mound, where his blazing speed quickly caught the attention of the scouts. The following year he signed with the Kansas City Blues of the American Association, and even though he only posted a record of 7-12 in 24 appearances, the Red Sox were sold on the young right-hander and purchased his contract in August. From that time on, Wood was a major Leaguer, much to the discomfort of American League batters. In 1912 Wood enjoyed one of the finest seasons by a major league pitcher when he finished the year with a 34-5 record and 1.91 ERA, which helped lead the Red Sox to the World Championship. 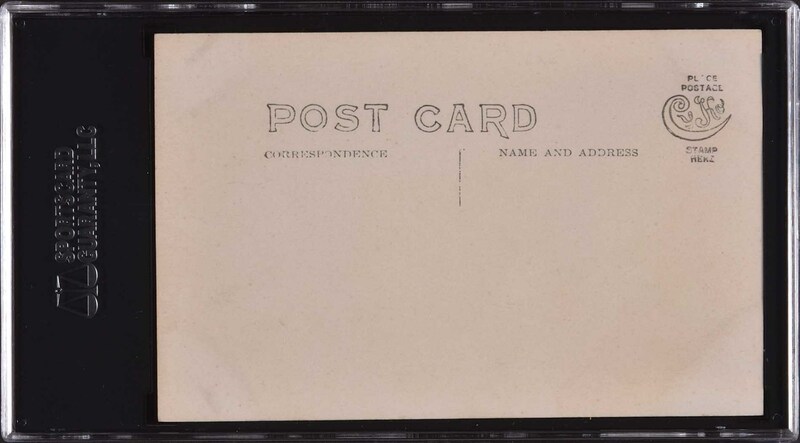 The postcard (5.5 x 3.5 inches) has not been addressed or mailed.